The Louisville Bats‘ blew a two-run ninth inning lead in a 6-5 loss to Toledo. Two-time National League All-Star Dontrelle Willis took a no decision despite surrendering just three runs on six hits in seven innings while striking out four batters and walking two. The Bowling Green Hot Rods used a strong pitching performance from right-handed pitcher Victor Mateo in a 2-1 win over South Bend. Mateo earned his first win after surrendering one run on four hits in six innings while striking out seven batters and walking two. The Lexington Legends scored a single run in the bottom of the 10th inning to earn a 7-6 win over Kannapolis in game one of the team’s homestand. Shortstop Jiovanni Mier and third baseman Michael Kvasnicka both homered for the Legends. Mt. Sterling native and former Morehead St. infielder Drew Lee was 3-4 with his first home run of the season, three RBI and one run scored for Kannapolis in the game. Walton native and former NKU outfielder Jake Shaffer extended his hitting streak to 11 games with a 2-5 performance for AA Jackson. Shaffer is batting .370 on the season. Lexington native and former UK outfielder Collin Cowgill was 3-4 with one double, two RBI and one run scored f0r AAA Reno. Cowgill has multiple hits in gour consecutive games. Louisville native and former UofL infielder Adam Duvall was 2-5 with two RBI for low A Augusta. 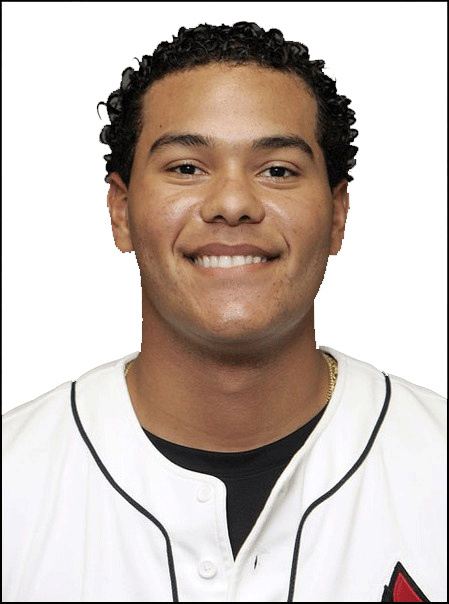 Former UofL third baseman Chris Dominguez slugged his fifth home run of the season for high A San Jose. Lafayette High School alum Chaz Roe took a no decision after surrendering three runs on seven hits in five and two-third innings while striking out four batters and walking none for AAA Tacoma. Louisville native Seth Bynum homered for the second straight game and third time this season for AAA Syracuse. Trinity High School alum Tyler Kuhn was 2-4 with one home run, two RBI and two runs scored for AA Birmingham.